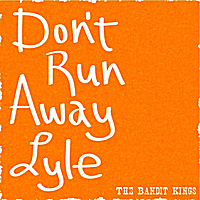 A change of scenery for the Bandit Kings with Renee Dupuis on lead vocal for this British Style folk and blues number of longing for the wanderer. Features Acoustic Guitar, Percussion, Bass and Vocals. The Bandit Kings are an alt. country/rock/pop band with two female lead vocalists, a vintage jangle sound and modern rock rhythms. Originally formed in the Art/Rock/Island town of Gloucester, Massachusetts, they call the North Shore home and Boston/New England are their stomping grounds.